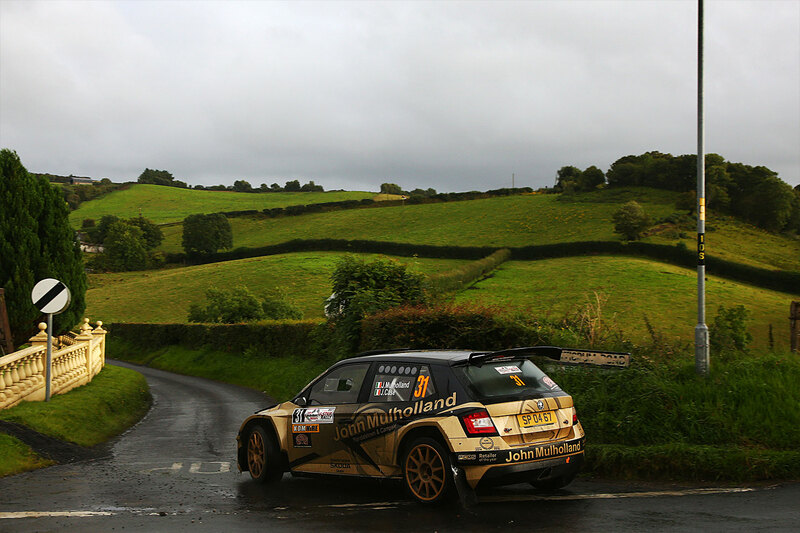 Swedish driver Fredrik Åhlin retained his British Rally Championship (BRC) lead after a second place finish at the Ulster Rally (18th to 19th August), the sixth and penultimate round of the BRC and fifth and penultimate round of the Irish Tarmac Rally Championship (ITRC). 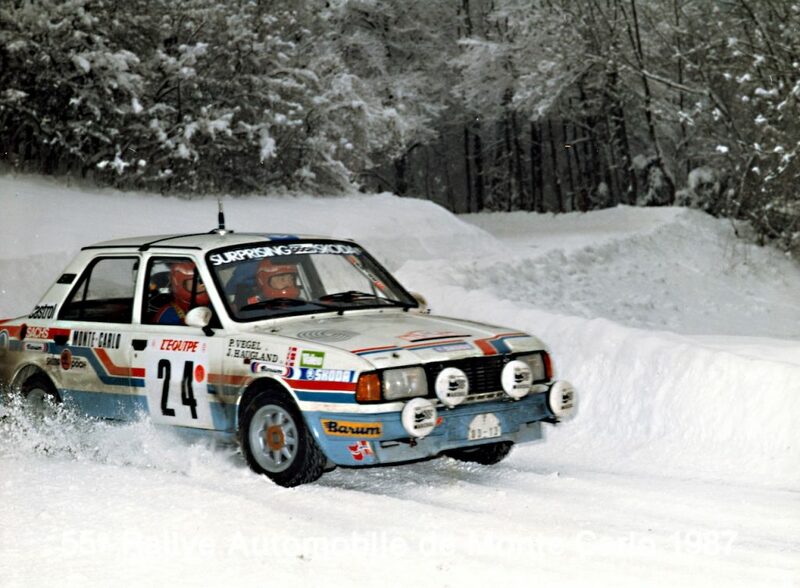 It was Åhlin’s best ever result on asphalt. In an event which was beset by heavy rain showers on the opening day, it was initially a three-car battle, with Åhlin competing with Osian Pryce to challenge Keith Cronin, who had led from the start. It was an exciting and closely fought contest until Pryce was forced to retire with technical difficulties. 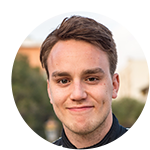 This left Åhlin and his co-driver Torstein Eriksen (ŠKODA FABIA R5; CA1 Sport) free to chase down Cronin, but he ended up 55.4 seconds behind his rival at the finish. 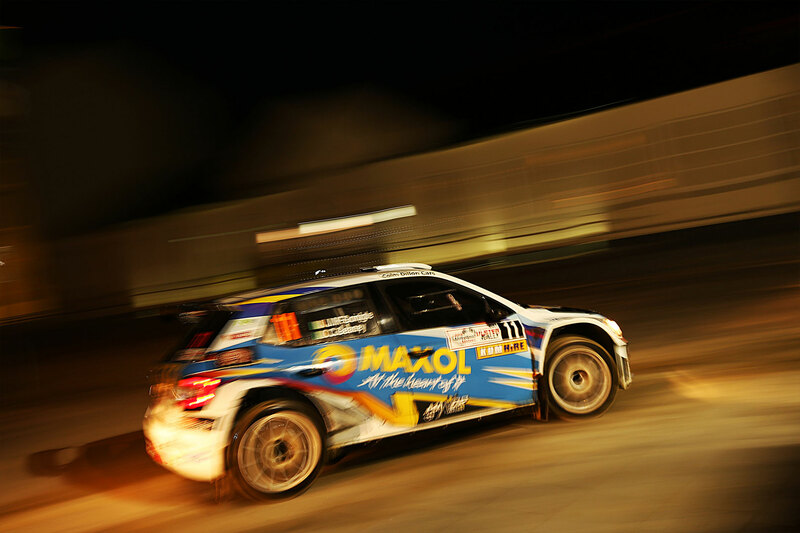 But with top 3 results in every special stage and his best ever asphalt result, Åhlin was happy with the result. The result leaves Åhlin facing a showdown with Cronin at the final BRC round, the Isle of Man Rally. 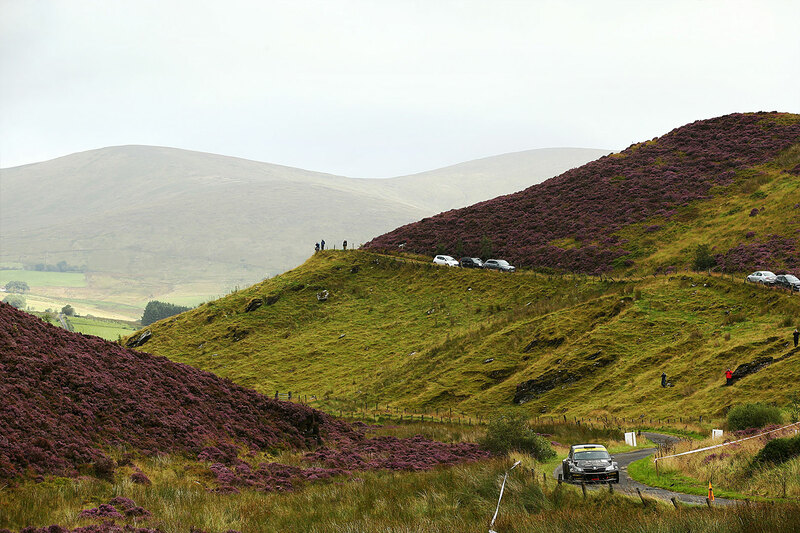 Behind the battle for the victory, there was another impressive drive from Marty McCormack and his co-driver David Moynihan. 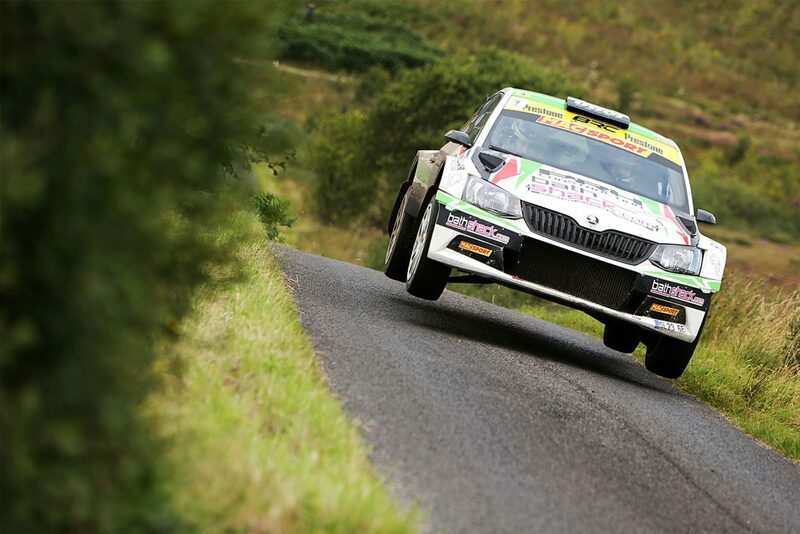 They finished in fourth place overall and third in the BRC standings for the TigerRisk Rally Team in a FABIA R5 prepared and run by McGeehan Motorsport. After driving in another car in the last round after a big roll in their FABIA R5 at the Ypres Rally, they were back to their best in a ŠKODA and scored some crucial points which ensured that third place in the BRC is still within reach. 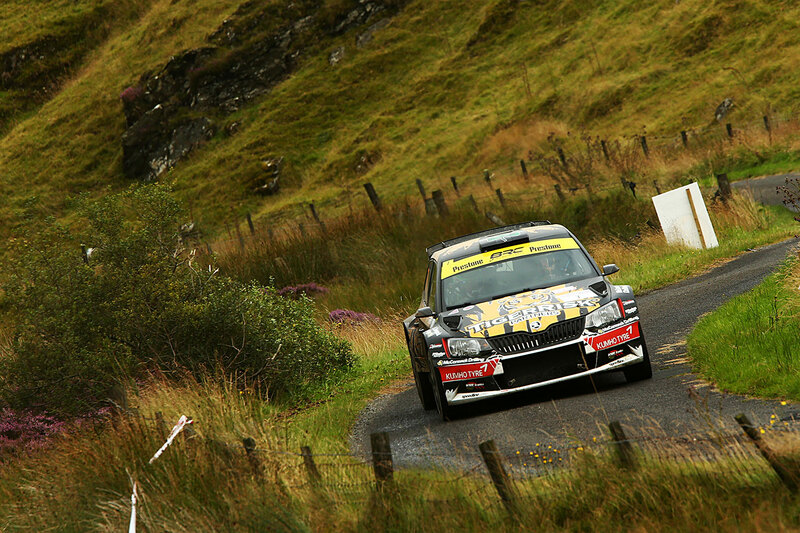 Just behind them in fifth place overall and fourth in the BRC standings were Desi Henry / Liam Moynihan. 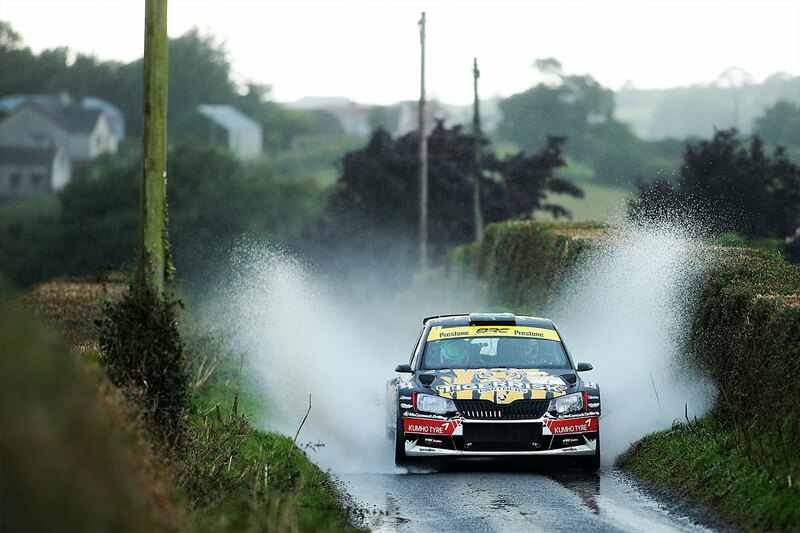 Joseph McGonigle / Ciaran Geaney were competing here in the Irish Tarmac Rally Championship standings and they secured valuable points with a third place finish in the ITRC and seventh place overall. 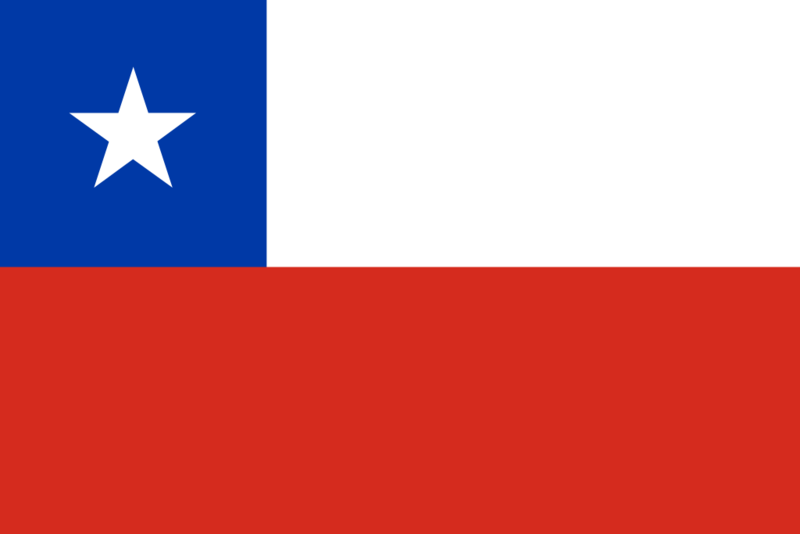 They currently sit third in the overall ITRC standings. An honourable mention too must go to John Mulholland who sponsors this rally. 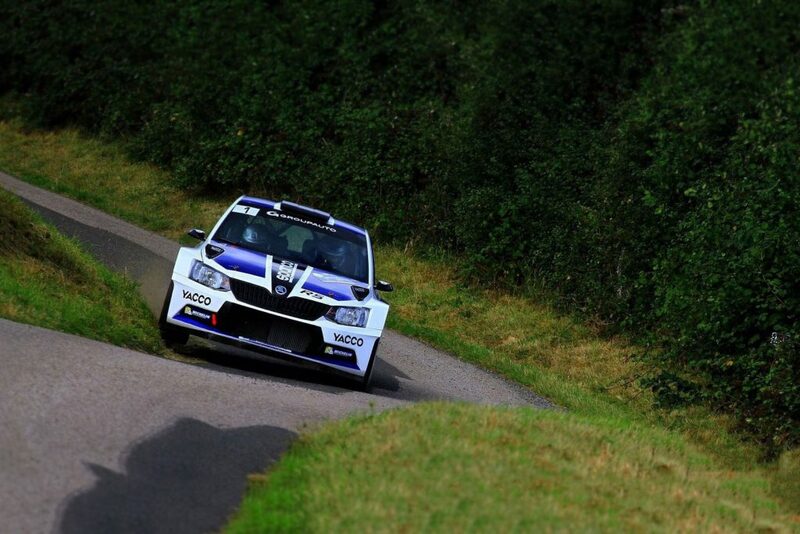 He also took part in a FABIA R5 alongside co-driver Jeff Case and finished in tenth in the ITRC standings. 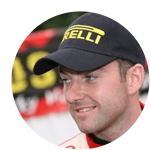 He now sits twelfth in the overall ITRC standings. 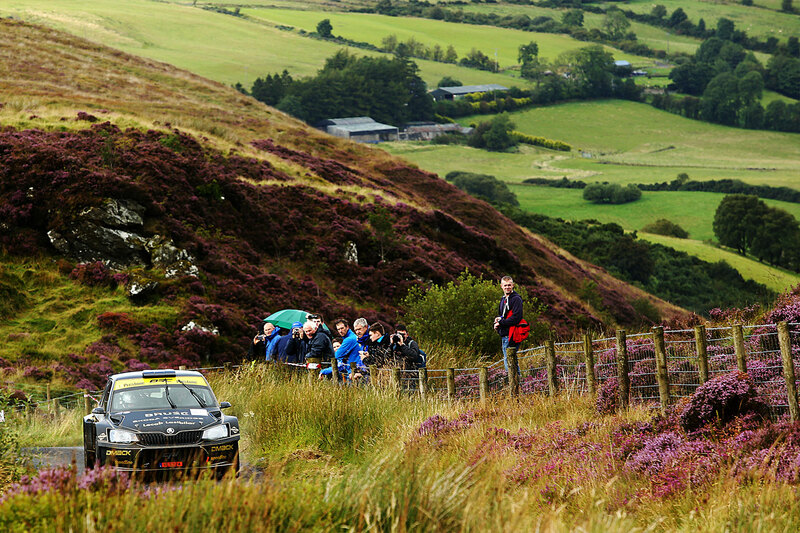 The British Rally Championship concludes with the Isle of Man Rally which takes place on asphalt between 14th and 16th September. Meanwhile, the Irish Tarmac Rally Championship will conclude with the Cork 20 International Rally on 30th September and 1st October. 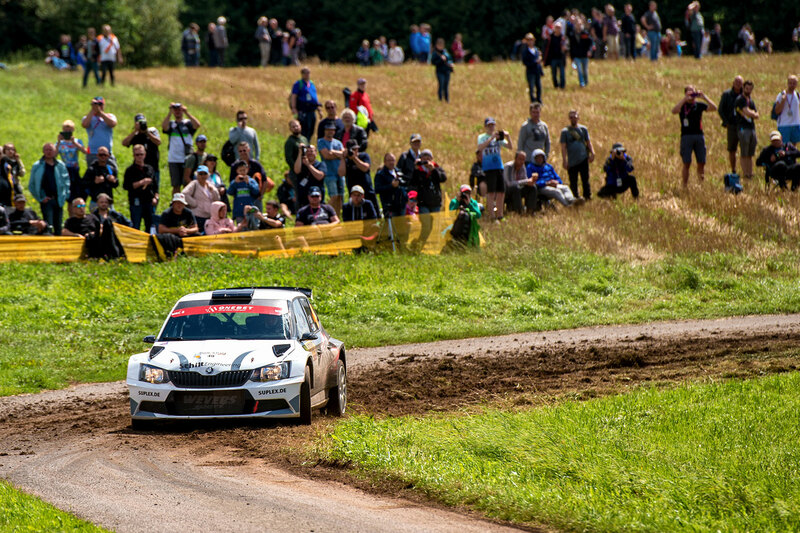 ŠKODA Motorsport’s Pontus Tidemand and his co-driver Jonas Andersson wrapped up the WRC2 championship title with a third place finish at the Rallye Deutschland (17th to 20th August), the tenth round of the FIA World Rally Championship (WRC). 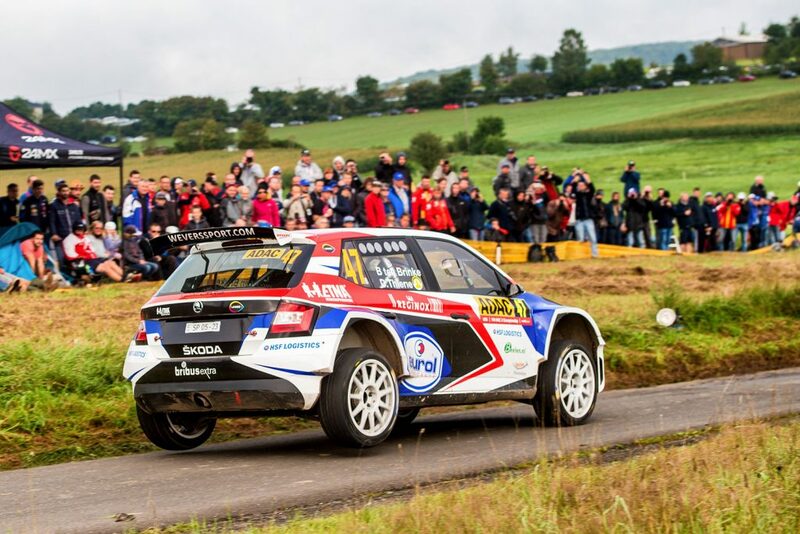 They finished just behind teammates Jan Kopecký / Pavel Dresler, who were second at this event, but have still secured the championship crown with three rallies remaining. 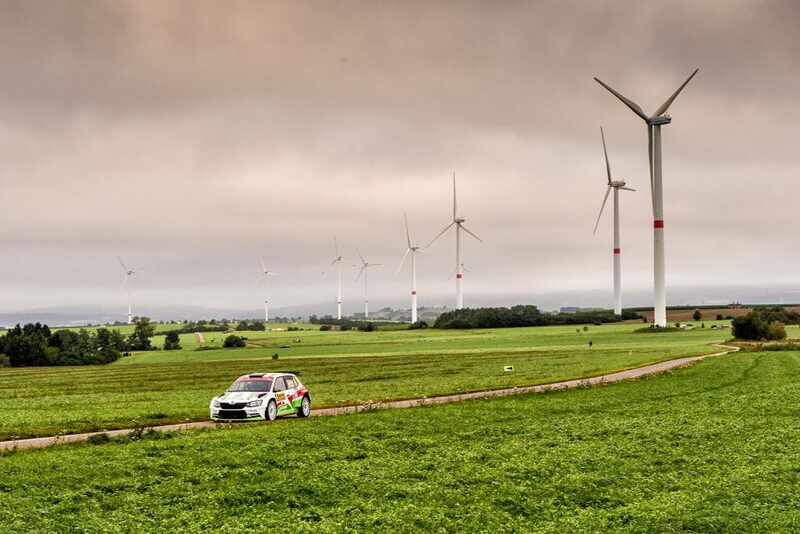 Elsewhere, Frenchman Quentin Gilbert and his Belgian co-driver Renaud Jamoul finished just outside the podium places in fourth position in the WRC2 standings in their FABIA R5, which was prepared and run by the Tagai Racing Technology team. They struggled in the rain during the first leg but then mounted an impressive recovery to climb back through the field and almost make it onto the podium. 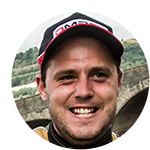 Having come into this event in seventh in the WRC2 championship standings, the result means Gilbert has now moved up to sixth. 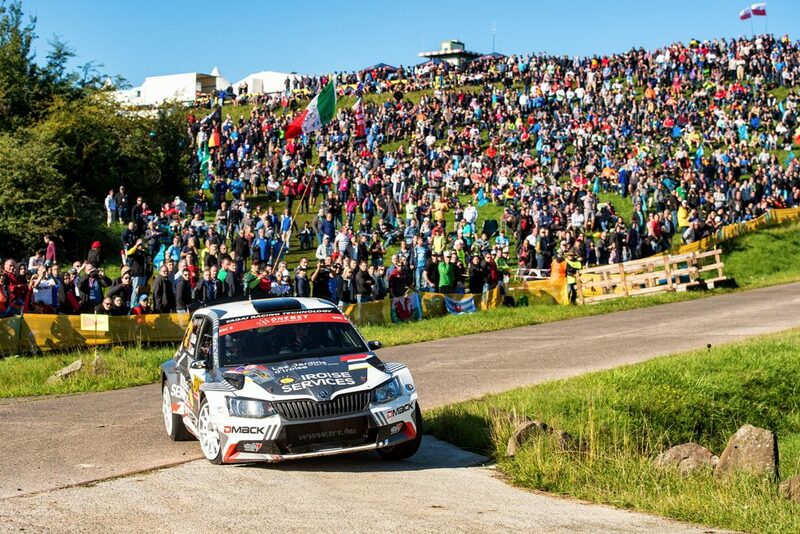 The next FABIA R5 home was that of local boy Marijan Griebel, whose car was prepared and run by the Baumschlager Rallye & Racing team. 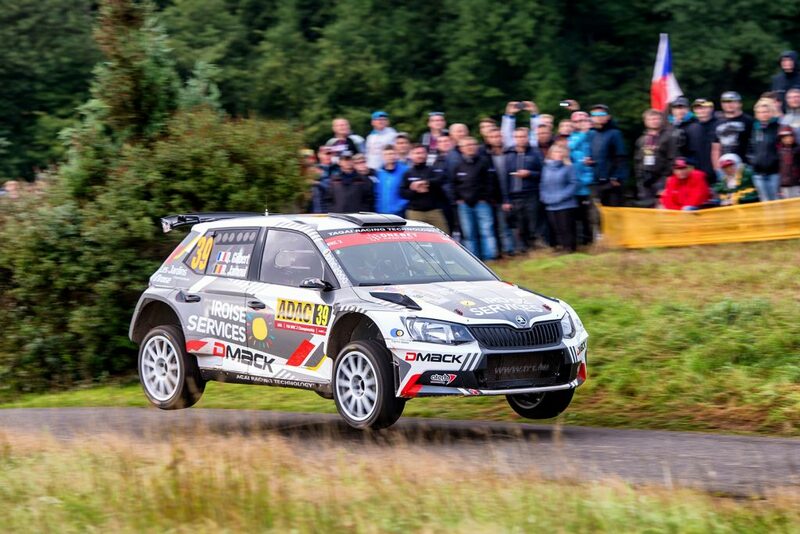 This was Griebel’s first-ever rally at WRC2 level and alongside co-driver Stefan Kopczyk, he put in a pretty impressive performance. 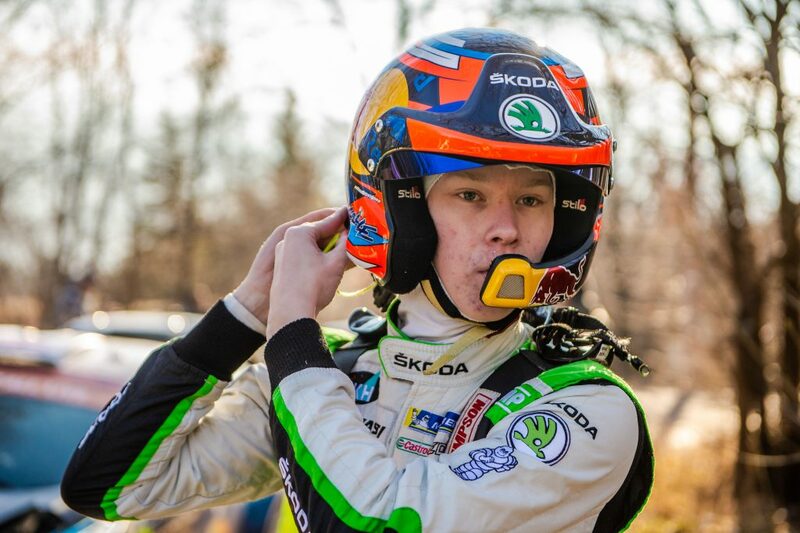 He registered some fast stage times, including coming third on SS19, and also scored some points with his eighth place finish in the WRC2 standings. Just behind him in ninth position were Benito Guerra / Daniel Cué. 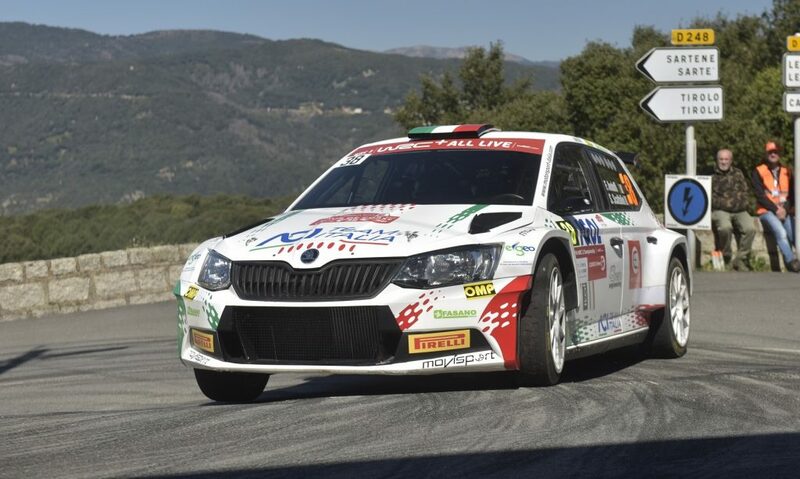 Driving a FABIA R5 for the Motorsport Italia team, this was Guerra’s fifth WRC2 rally of the season and saw him score points once again. He now sits in ninth place in the overall WRC2 championship standings. 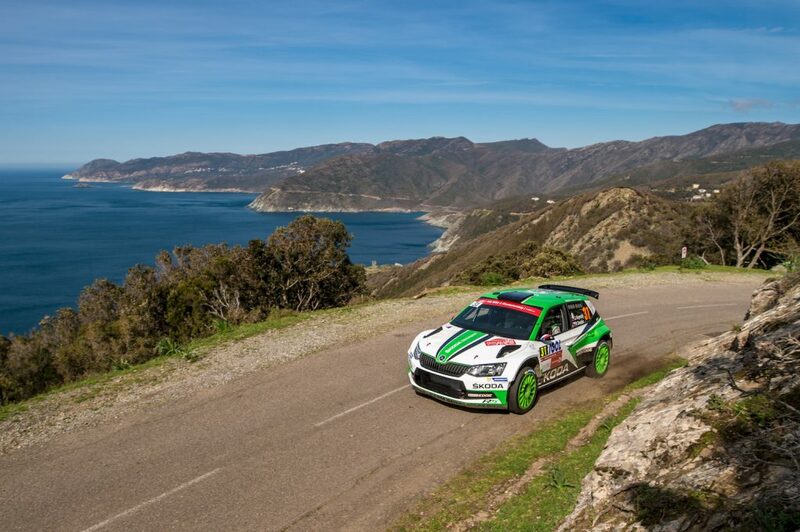 Further down the field, Bernhard ten Brinke / Davy Thierie finished eleventh in the WRC2 standings for the Adapta AS team, in what was Ten Brinke’s first event of the season. 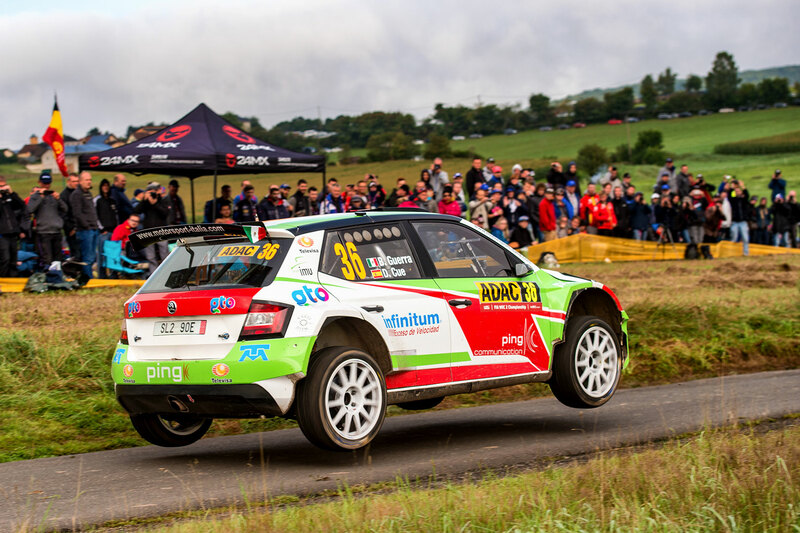 Meanwhile, Patrik Rujbr / Veronika Římalová also managed to finish in what was only their second rally in a FABIA R5 as well as just second WRC event. 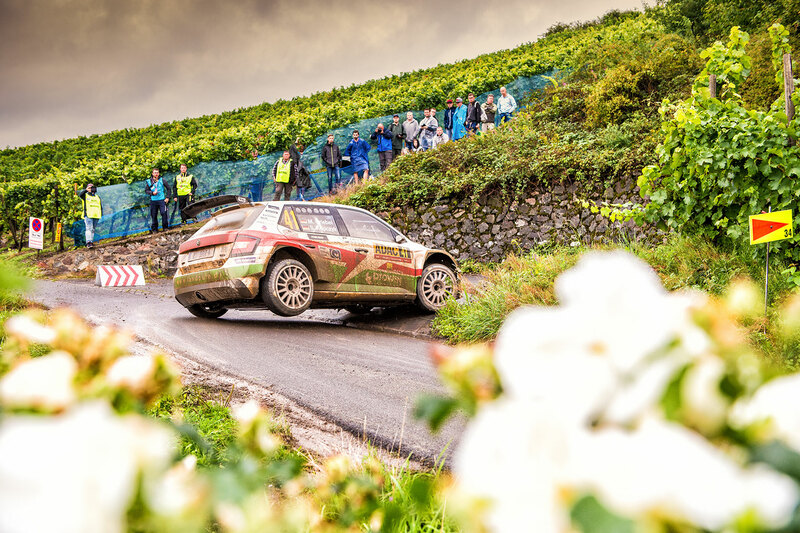 The FIA World Rally Championship will continue with the RallyRACC Catalunya - Costa Daurada which takes place from 6th to 8th October. Ole Christian Veiby put in a valiant performance at the Rally Konsmo (19th August) in Norway last weekend, eventually missing out on victory by a margin of just 1.4 seconds. The Rally Konsmo was the sixth and penultimate round of the Norwegian Rally Championship and Veiby went into the event lying second in the overall championship standings, 12 points behind leader Eyvind Brynildsen. 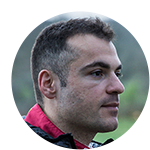 This rally was to prove to be a straight battle between the two, but heavy rain on the opening special stages made conditions difficult. 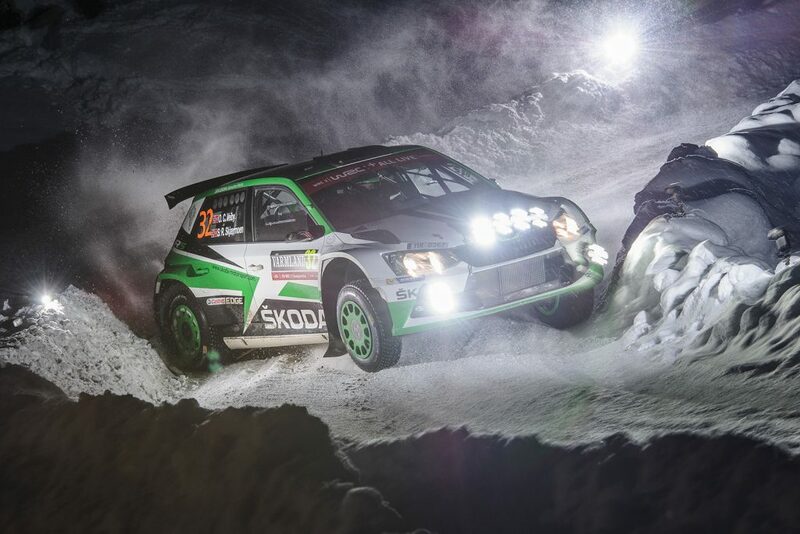 Brynildsen built up a small lead of 13.6 seconds, but Veiby chipped away at this and - after Brynildsen had some technical problems on the penultimate stage - going into the final stage, there were just 0.7 seconds between them. 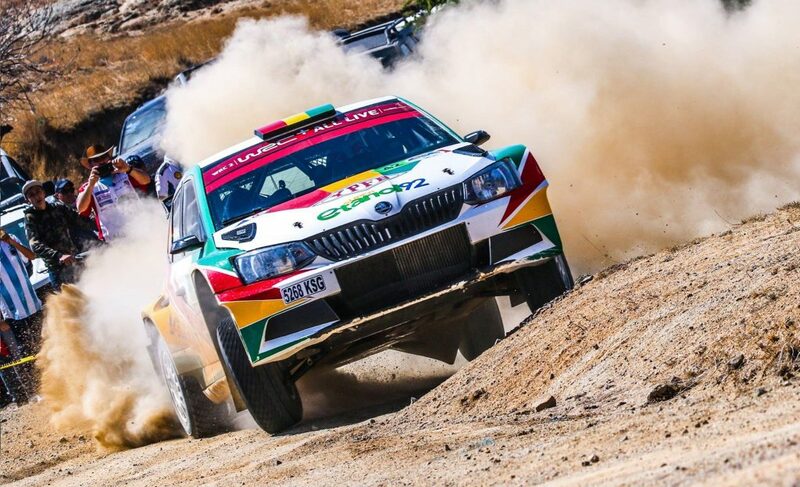 Both drivers gave everything in the final stage, but a brief encounter with a ditch cost Veiby a little time and in the end, it was Brynildsen who took victory by small margin. 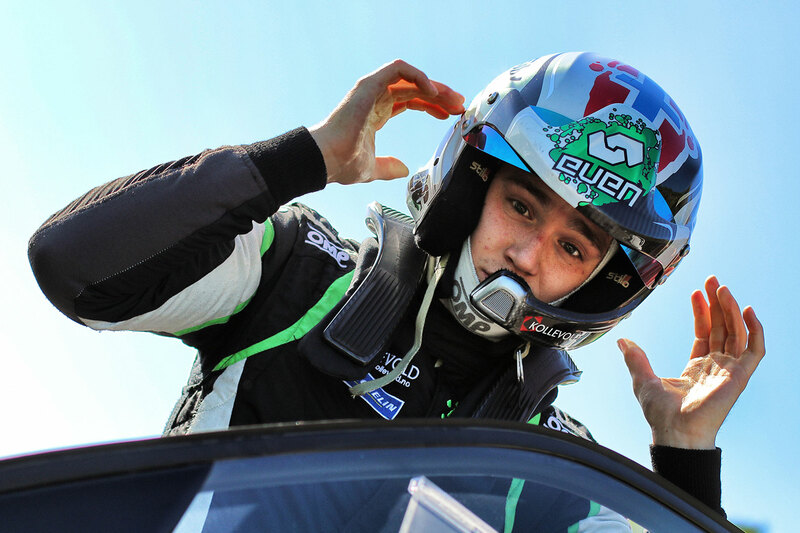 The result means Veiby is still in second place in the Norwegian championship standings. The final rally of the season will be the Rally Hedemarken which takes place on 22nd and 23rd September. 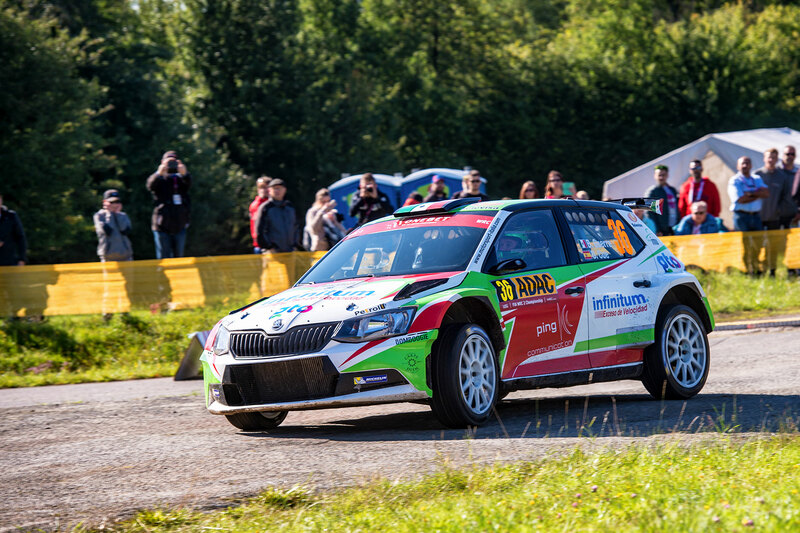 There was a third place finish for Jörgen Jonasson / Nicklas Jonasson at the Kolsvarundan (19th August) in the fifth round of the Swedish Rally Championship. It is their second podium finish of the season in their FABIA R5 and sees them move up to fifth position in the championship standings. Meanwhile, the Sunnyside Experience FABIA R5 of Lars Stugemo / Kalle Lexe finished seventh overall and they also sit seventh in the championship. At the Rallye National du Boulonnais (19th to 20th August) in the French Rally Cup, there was a win for Yves Saint Requier / François Gilbert (FABIA R5) who finished 1 minute and 2 seconds ahead of their closest rivals. 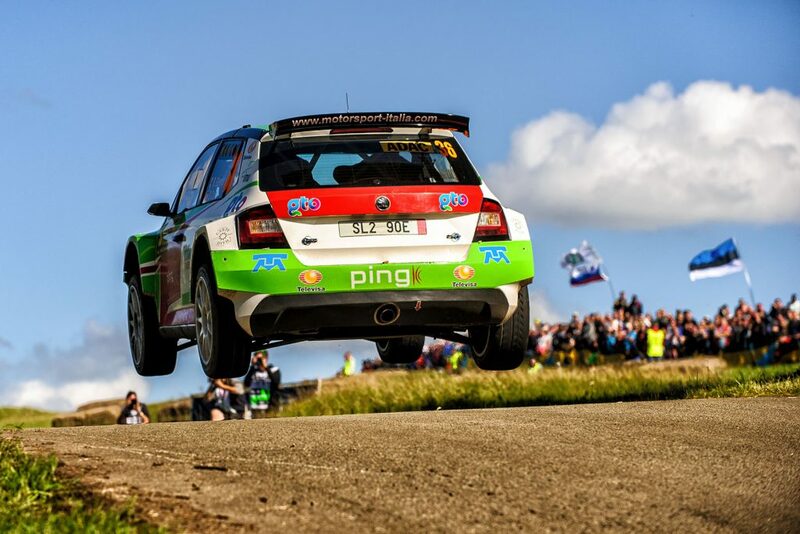 It was their second victory and fourth podium finish in four FABIA R5 rallies to date. There was another FABIA R5 win in the French Cup at the Rallye Régional de Saint-Germain-la-Campagne (19th to 20th August). Pierre Ragues / Julien Pesenti claimed their second French Cup victory of the season by a margin of 54 seconds. 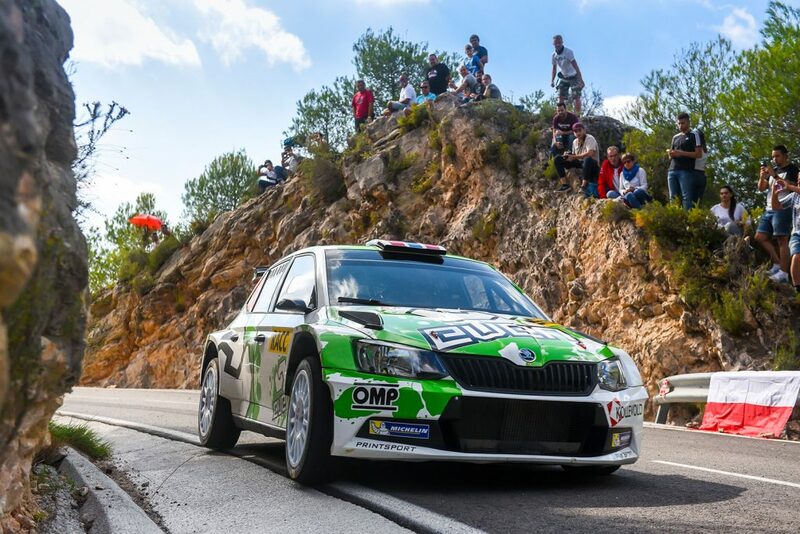 At the Rallye Régional de Chartreuse (19th to 20th August), which was another French Cup event, Benjamin Perrin / Quentin Perrin finished in second place, just 10 seconds behind the overall winner, in what was their first ever drive in a FABIA R5. 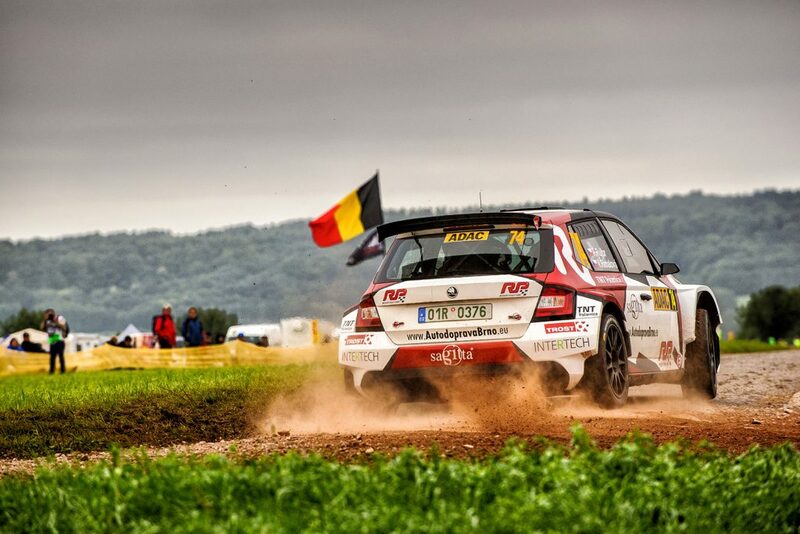 Last week, in Belgium, Vincent Verschueren / Veronique Hostens finished as runners-up at the Rally van Staden (14th to 15th August) in GoDrive Racing-run FABIA R5. 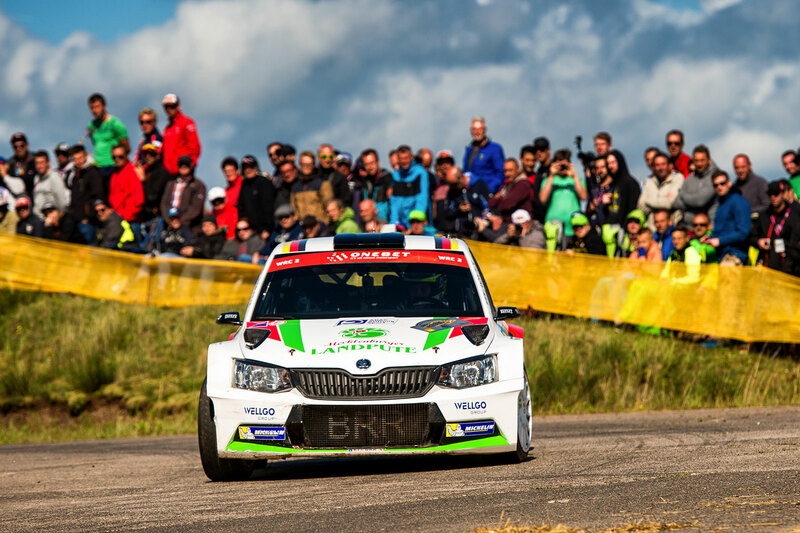 Verschueren finished second here last year too, and this time was only beaten by an impressive drive by Andy Lefevere / Marc Noppe in a ŠKODA Fabia WRC.